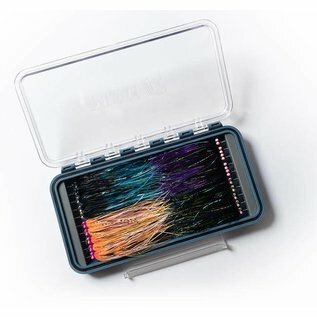 A great way to transport and store your favorite articulated flies. The big brother to the Plan D pocket box. We love this one even more! 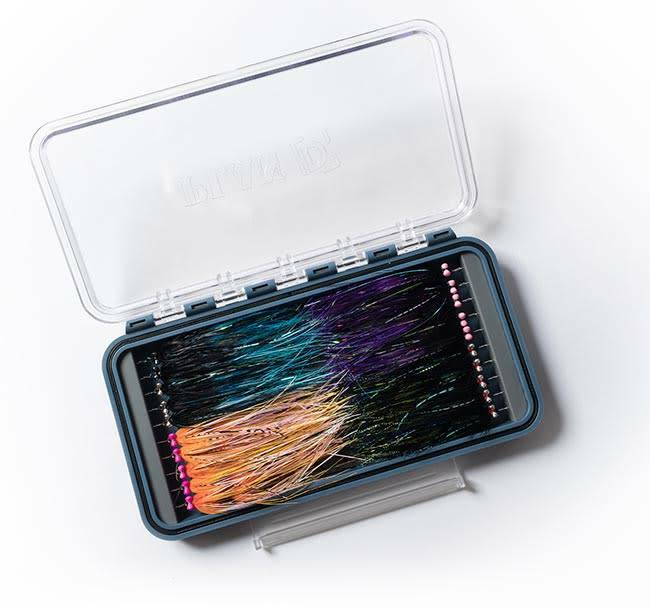 A row of 10 marine grade stainless hooks on each end of box, this makes storing 20 articulated flies a breeze. 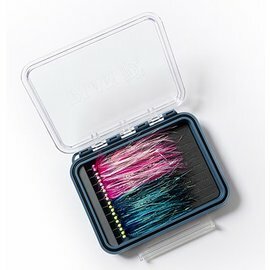 Slide the hook into the flies eye and insert the bottom hook into the foam.